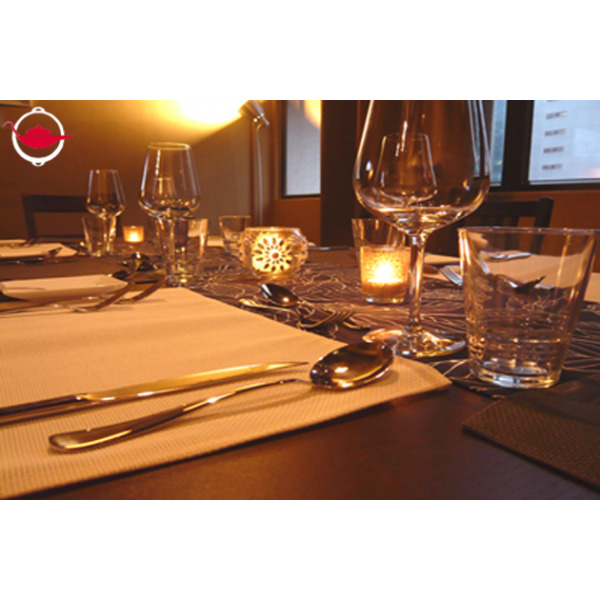 Form your own group of four, choose from Italian and French menus and enjoy a cooking party with friends in a cozy kitchen studio! Followed by a dinner party there! This cooking party experience is for all those who love food! Form your own group of four and come join us in our sophisticated yet cozy kitchen studio for a cooking class followed by a dinner party! In this well equipped and comfortable cooking environment, all ingredients and utensils will be provided, and you will be guided by our culinary director to make a delightful meal! After cooking your delicious dishes, you can relax, sit down and enjoy your food with friends in the cozy dining area! Come and enjoy an extraordinary evening of good food and great company! This Experience Voucher is valid for 4 people. Additional guests, whether participating or observing, are welcome to join at an additional cost of $550 per person, up to a maximum group size of 12 people. Bookings can be made on any day. Bookings must be made at least 1 week in advance and are subject to availability. There would be an additional charge if booking is made on festive dates like December 24th, 25th, 26th, 31st and January 1st. Please let us know at least 1 week in advance if you wish to bring additional guests. Aprons will be provided in this experience. All food and utensils are included. Beverages can be arranged at extra cost. We had a good time. The tutor's explanation was very clear. We have learned a lot of cooking skills. The venue was smaller than expected but we felt cosy - just fit for us 4 people group. I got this as a birthday gift from my Husband. It was awesome! I love to cook and bake and the class, preparation and food went well. Would definitely do this again. Had a great time with my friends cooking up a storm! Lovely cozy location. It was a lovely experience, perfect for a small group gathering. Our instructor was very experienced and we learned a lot! I had compared quite a number of menus and there are very few places have such a flexible menu. The class was very well organized and easy to follow. We have a large group and of different cooking experience, but everyone had fun! The venue is also very comfy for a sit down dinner. Will look forward to go back for another class! My boyfriend bought this wonderful Cooking Class for my birthday and it was just perfect. The location was easy to find in Wanchai and the setting was just divine. We brought our own wine, left with the recipes, and we can't wait to go back with friends. Jennifer was hands-on, the atmosphere was really really nice; candles on the table, etc. and the experience far surpassed expections! Lovely private venue/kitchen that is cosy and great for an intimate gathering of friends. It was fun getting hands-on with the ingredient prep and the cooking - even for beginners. Jennifer was very patient with us and more than happy to give cooking tips and field random questions. The recipes were delicious and very replicable at home. Highly recommended! Fantastic experience! Janette was a great host and showed us how to make excellent food. The pace of the evening was perfect (some cooking spaced with eating, then cooking again). Great! It was such an enjoyable experience. Learning to cook and get to eat after. Jennifer was so patient and resourceful in teaching us how to prepare the meal, and answering our numerous questions! Definitely would like to do it again! Our party of 4 had a wonderful time in this gathering. We learned about selection of food stuff, cutting and cooking. Our instructor , Jennifer , is very professional and patient. Not only did we learn a bit about cooking, but more importantly, we also shared the great meal with friends in a very cosy setting. A great experience. Highly recommended for a small party of probably up to 8 people. It was a fantastic experience. We had hands-on cooking experience. The instructor was very nice, friendly and knowledgeable. Her instructions were very clear and she explained everything well. Food were in big portion and importantly - very delicious! It is definitely a top pick of family and friends get together activity. 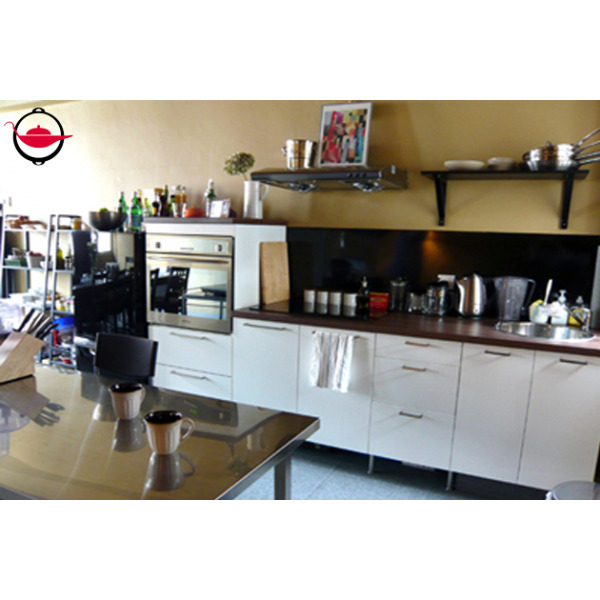 Great experience and the lady cook (Jennifer) is very knowledgeable and explains very well. We enjoyed our time! This is our first time experience given by our daughter as a gift, this encounter is benefited for those interest in cooking as well as no cooking experience. Jennifer is very knowledgeable instructor who make us very enjoyable and at ease. It was a very nice dinner for the couples. It was fantastic - Jennifer and Gordon were great hosts and we had a ball learning how to cook things that we wouldn't normally make at home. The location was outstanding, the food was amazing! This experience was the birthday gift for my girlfriend. We had it with some friends last Sunday and had chosen Cod Stuffed Squid Tapas as the entree, Slow Cooked Ox Tail in Red Wine for the main course and Grand Marnier Soufflé for the dessert. It was a superb experience for all of us. The location was convenient. The kitchen and the dining room were well decorated and well equipped. Our instructors Jennifer and her assistant Gordon were knowledgeable, professional and friendly. They guided us on all the cooking steps and taught us some new skills. The ingredients were fresh and the food delicious with perfect seasoning. We really appreciated this experience and would definitely recommend it! Thanks to Jennifer, Gordon and also to the Spoilt team for their reactivity and their help for the booking arrangement! Instructor is quite experienced, however most food stuff is ready made. It will be more fun and interesting if there is more hands on experience. 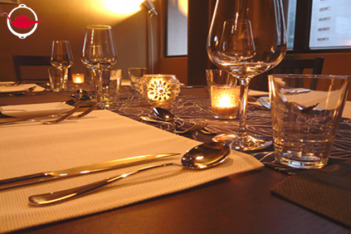 The concept of dining at the venue after cooking is very nice, and the ambience is nice. A few of us purchased this experience as a birthday gift for a friend and we all had an intimate and fun night. The procedures were explained clearly and we all had hands on practice. 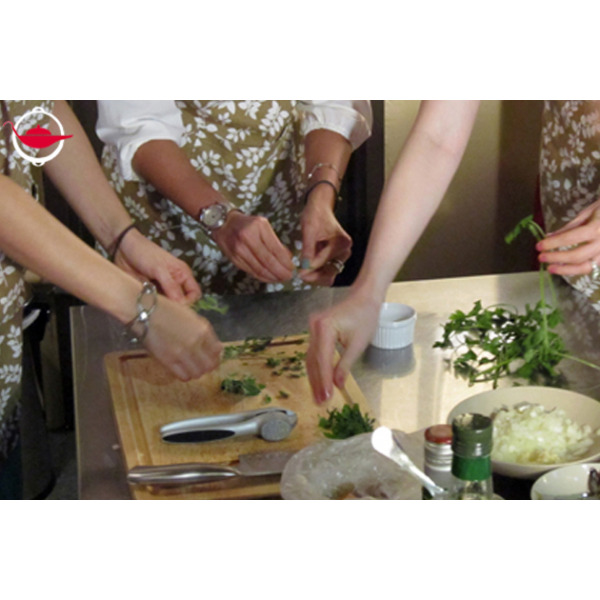 Am happy to recommend to others and would love to arrange another cooking class for a girls night. Went for my friends 40th birthday. Everyone loved it and was such a different experience from your typical dinner out! I found this on the QANTAS website in the activities section. I was a great experience for all 4 of us, and the food was delicious! Both instructors were friendly and easy to talk to. The venue was very clean and user friendly. Would recommend to friends travelling to Hong Kong for sure! Good atmosphere, relaxing environment and great experience. We love the private experience of cooking and dining. 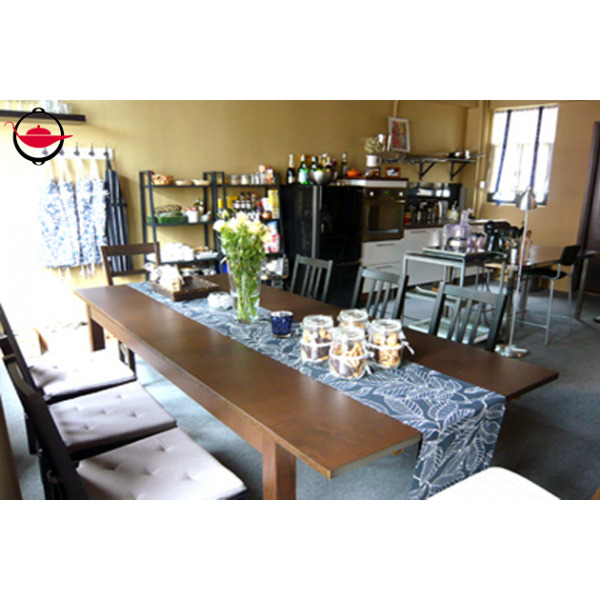 The kitchen and dining area are very well decorated. The chef has well prepared the ingredients and the process was simple and easy to cook, food was tasty and our group had an enjoyable lesson and dinner. 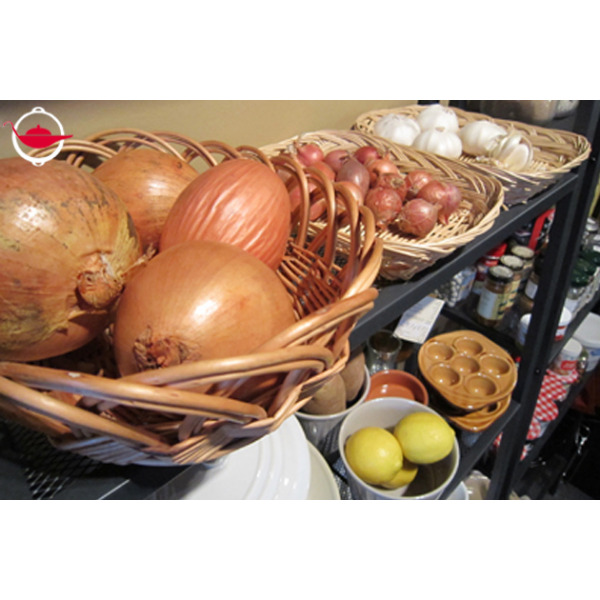 We had a party of four prepare an excellent meal in a warm kitchen and dining environment. The staff was extremely helpful and informative and the meal was excellent. We decided to celebrate my husband's birthday and the experience was great, we enjoyed great food and all learnt something to use at home. The Portobella's were to die for. It's one of the best cooking class that I have ever attended! (I have been at other cooking classes before but that just make me feel less interest in cooking). However, this private one is totally different and changed my perspective on cooking. Now I start to explore more on cooking and definitely going to form the other cooking class with my other friends too, it's such a good way for friends gathering with cooking experience as a take away! Last but not least, the chef, Jennifer is so kind that she provided us lots of guidance with patience! A great experience of gathering, sharing among with your friend and family. We had a wonderful lunch and the apple flan was awesome. Thanks Jennifer and Gordon. We had a fantastic time with Jennifer and her assistant who were humorous and supportive! It's definitely a great experience to share with our couple friends, especially when most of are newly weds and all love experimenting with food!